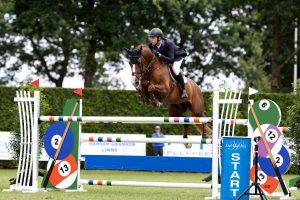 Paul Hendrix is ​​a breeder at heart who is very committed to breeding in general, and in particular he is proud of the breeding in Limburg. Every year, about 25 foals are bred at Stal Hendrix, which makes sure that the trading yard is less dependent on the market. As with everything that Stal Hendrix stands for, quality is the base. By laying a strong foundation with proven sport mares from good damlines, Stal Hendrix has built up a high-quality breeding. The KWPN studbook has approved the homebred stallions Don Diablo HX, Fandango HX and Kardinaal HX. A lot of success has already been achieved at the mare inspections with own breeding products, including the Bustique mare Footloose HX, who was elected national champion in 2013. 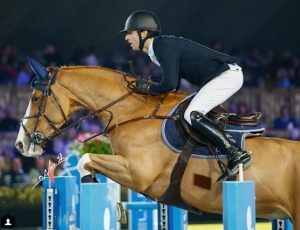 In the international sport, breeding products such as Apart (by Larino) of Pieter Devos, Capall Zidane HX (by Concorde) of Ronan McGuigan and Anatevka (by Ustinov) of Susanna Granroth have proved to be excellent references. In the meantime Stal Hendrix has reached a point where the own breeding products can be an improvement for breeders who want to make a step forward in breeding. Stal Hendrix can be of added value when a breeder, for example, is looking for young mares with a top pedigree. The selection has already been done. Honest advice that corresponds to the breeding goal is offered to those interested.